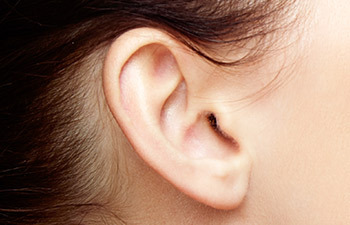 While ear deformities may be present at birth, they can also develop as a result of trauma to the ear, particularly following accidents, burns, bites or accidental amputation. Given the delicate nature of the ear and its structure, ear reconstruction surgery is one of the biggest challenges in plastic surgery, as noted in a study published by Dr. Alberto Rassi, member of the Brazilian Society of Plastic Surgery (SBCP). Yet, given the systematization of techniques and training, surgery can be highly effective, with low complication rates. Dr. Mark Mitchell Jones of Atlanta Plastic Surgery Specialists is a renowned expert in ear trauma and reconstructive surgery, and continues to earn remarkable ratings for his superior precision and skill in plastic surgery. Ear reconstruction surgery is best explained in two stages, depending on the cause and severity of damage or trauma. The first part involves creating a skin pocket at the site of the ear by re-establishing the tissue and thinning the skin to mirror the type of skin that covers the ear. In some instances, rib cartilage is harvested, then carved and shaped together using a thin wire. This process requires utmost attention to detail, with a consideration of facial harmony and aesthetics. Once a detailed structure of the ear is created, it is inserted into the pocket. A gentle suction maneuver is employed to help the skin and new ear structure adhere together properly. The second reconstructive surgery focuses on placing the ear, so that it protrudes away from a patient’s head like a normal ear would. To accomplish this, the newly constructed ear is positioned using a piece of cartilage for support. A skin graft and tissue is then used to cover the exposed cartilage. While the process of ear reconstruction may appear straightforward, it is a complex specialty, and is not always suitable for those with scarring or a low hairline. In other words, methods and specific techniques for surgery must be considered on a case-by-case basis. For patients in Atlanta and across the country, Dr. Mark Mitchell Jones is a recognized leader and trusted surgeon for ear reconstruction and cosmetic ear surgery. To speak with Dr. Jones in a confidential consultation regarding your options and desires for ear reconstruction, call Atlanta Plastic Surgery Specialists, P.C. today.